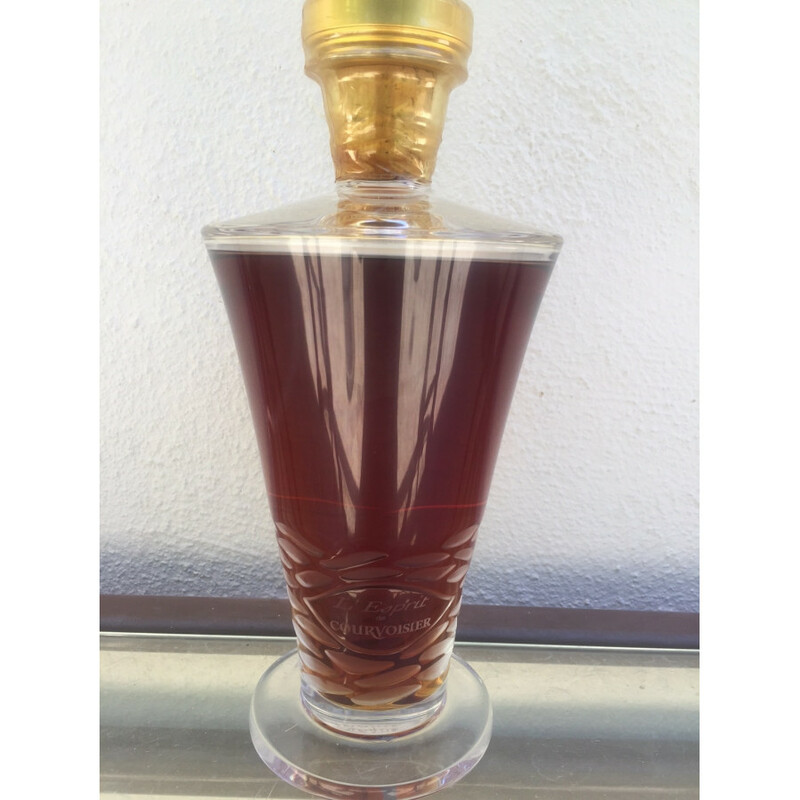 This Cognac contains the very oldest and finest Eaux-de-vie. 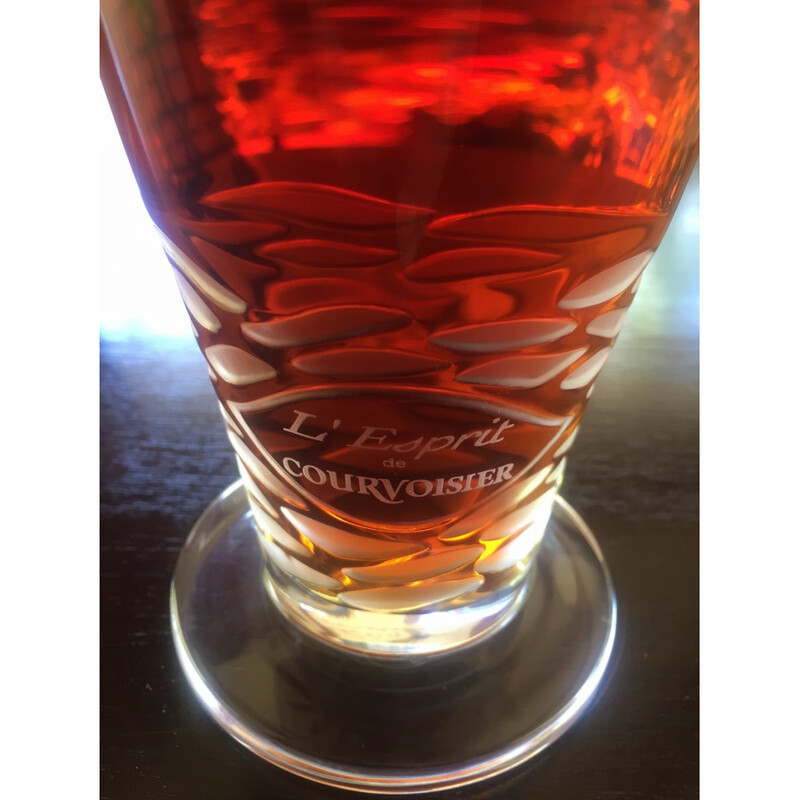 L'Esprit de Courvoisier is known as one of the most exclusive and highly praised Cognacs of all times. The beautiful hand-cut Lalique crystal decanter appears like a piece of art and presents its outstanding content at its best. 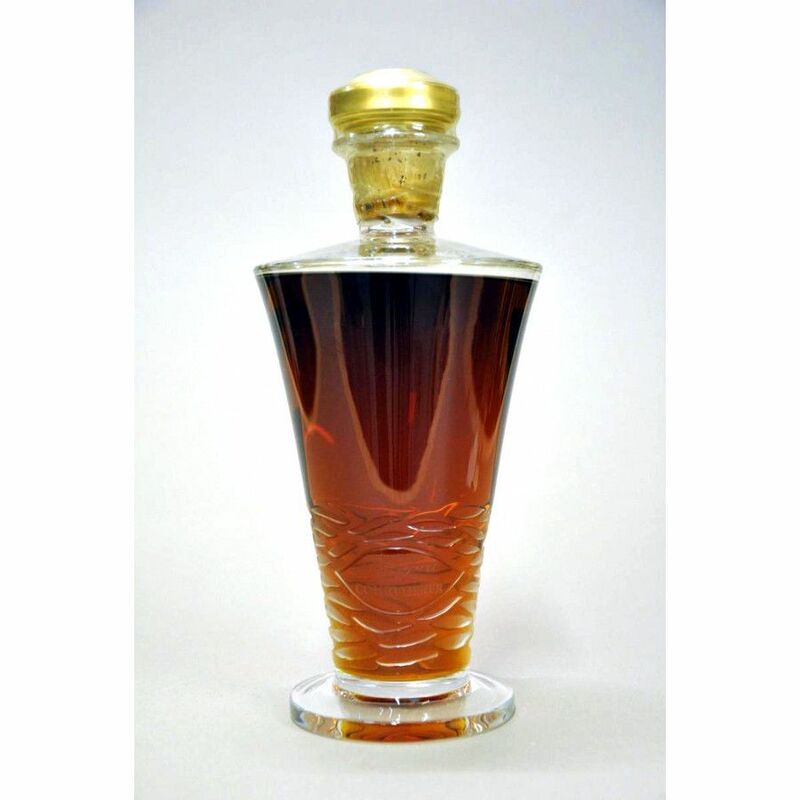 The seller worked for Allied Domecq Wine & Spirit which used to own Courvoisier Cognac. He bought the bottle in the late 1990s. Private Seller from San Juan, Puerto Rico (USA). All duties paid. Condition: New and unopened. Stored in a cellar, upright standing. 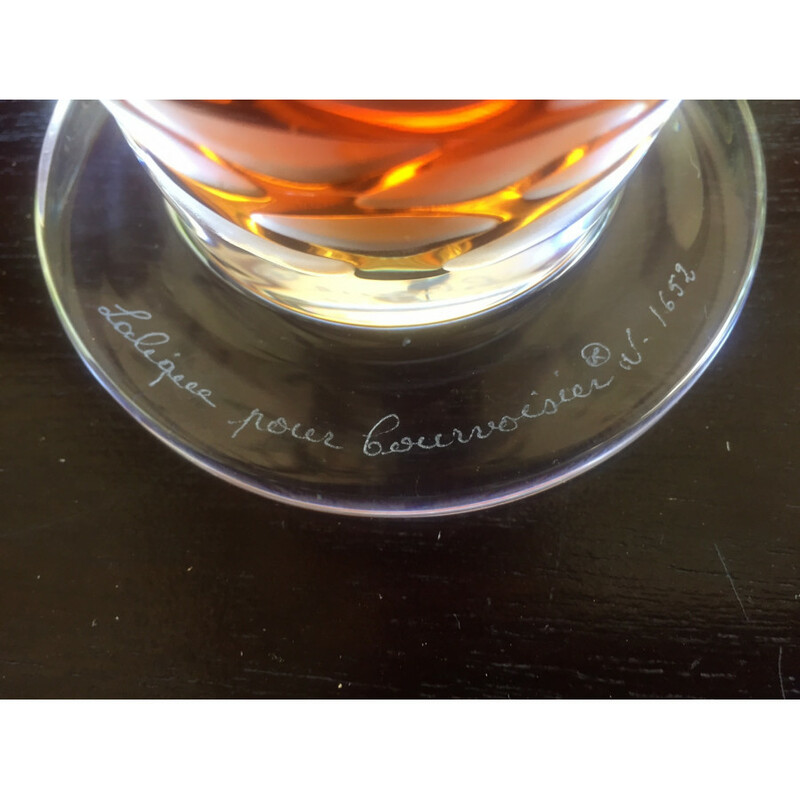 House of Courvoisier, one of the favourite Cognac producer worldwide. Loved by celebrities like Napoleon or Busta Rhymes, it is a typically French Cognac house in Jarnac by the river Charente.